Many of us dream of being doctors, lawyers, pediatricians, or even the president of the United States. We have heroes that we look up to, and role models whose actions become our blueprint as we journey into adulthood. At no time do we dream of being abused, beat into silence, or screamed at for making mistakes that should be learning experiences. The scars on our bodies should be the result of simply being a child, falling and rising to our feet; sometimes shedding tears, and other times smiling while shaking off the pain. For Michael, being a child is nothing of the sort. 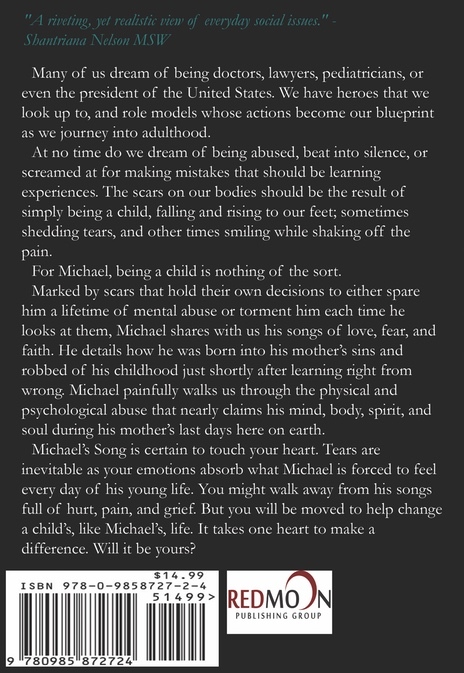 Marked by scars that hold their own decisions to either spare him a lifetime of mental abuse or torment him each time he looks at them, Michael shares with us his songs of love, fear, and faith. 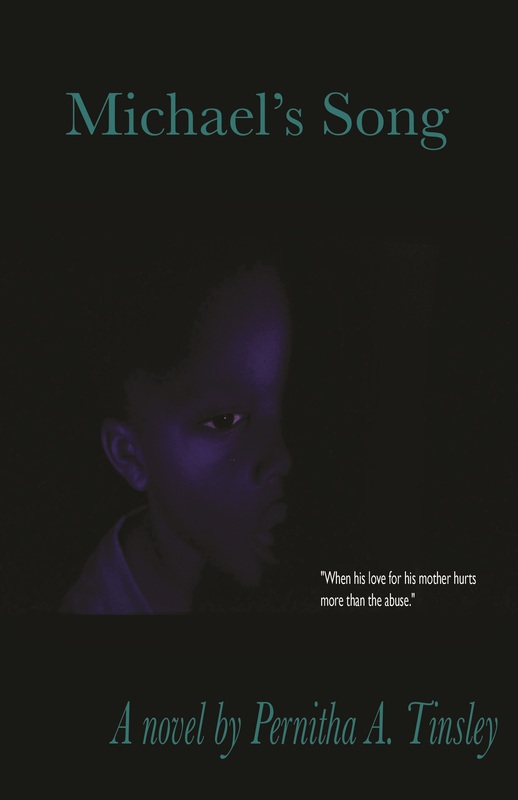 He details how he was born into his mother’s sins and robbed of his childhood just shortly after learning right from wrong. Michael painfully walks us through the physical and psychological abuse that nearly claims his mind, body, spirit, and soul during his mother’s last days here on earth. Michael’s Song is certain to touch your heart. Tears are inevitable as your emotions absorb what Michael is forced to feel every day of his young life. You might walk away from his songs full of hurt, pain, and grief. But you will be moved to help change a child’s—like Michael’s—life. It takes one heart to make a difference. Will it be yours? I found this book Michael’s Song to be a valuable read. This book is also an excellent resource to student’s and educators. It is a horrible story that gives a bird’s eye view of life through the eye’s of an abused child. It his sheer will to live that enables him to survive. I can say I’ve never read a book that sucked me into it, as much as this one. This book will grab you by the heart and make you feel you in it. Yes, it’s that good. It’s definitely a must read.